Just a thing I forgot to mention: I received the Juror’s Choice award for one of my pieces at the Tomahawk Ridge Community Center! This basically amounts to a $25 check from the city of Overland Park. But there’s also some street cred. I received news a few days ago that three of my pieces were accepted for the 2016 “Human Form verses the Abstracts” exhibition at the Tomahawk Ridge Community Center in Overland Park, KS. I have to drop them off at the end of July, and They’ll be up from August 5th to October 2nd. This means I have about a month to get some good prints of these pieces into frames. I’m very excited! I took up a section of sidewalk on the corner of 18th and Baltimore, at that building with the rocket ship on the roof. Same place as last time. Right around the corner from me, a band called Sundog (or Sundog Surf. Not sure which.) was playing. They apparently wear masks made of straw. I was too busy trying to keep my stuff from blowing over to get a look. I’m still having some logistical problems. Mostly with wind. A friend suggested magnets, because the building I’m at appears to have steel siding. I just ran across a Reddit post by an org looking for artists to show at a space on First Fridays. A minor prospect there. We’ll see what happens. Flattr, and Bitcoin" and have them be like "wtf are those?" This post is mostly to check if the rss2queet script is working (pumping my blog posts to my gnu social account). However, might as well throw in some news. I missed the last First Friday because of reasons. There are a few new things in the gallery. I’ll put some stuff in the shop soon. Zines are pretty cool. You should go. I should go. 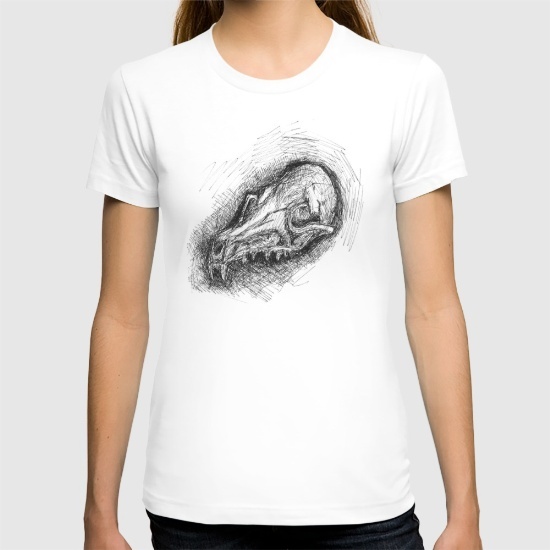 I uploaded my fox skull sketch to Society6 a couple days ago. You can get it on paper or a shirt. Starting tomorrow (Wednesday) The Westside Local will be gracious enough to display my artwork through the end of December. Come see my work on a wall instead of a computer screen, and enjoy a friggin’ amazing quinoa burger. We had some larger (16x20 to 18x24) prints out in front of the Barkley building. Thank you very much to the gentleman who bought an un-matted copy of “Necropolis of Panopticon 2-B” for $20. Your business is greatly appreciated. And to the girl interested in buying a large print of “Billions and Billions”, I will have a high-quality scan up very soon. My e-mail address is on the front page of this site. Send me a message to remind me, and I will be sure to let you know when it’s available on Society6. We had a fun time being near the live music in front of the Bauer (a place I recommend visiting if you haven’t done so already) and dancing drunk people. We will probably hit up the same spot in November, if it’s not too cold. I really need to switch to a real blogging platform...Considering switching from Linode to Digital Ocean for the lower monthly rate and the fact that there are a couple of "one-click" options for blogging platforms there. First Friday was a minor success! A barista at PT’s bought two of my 5x7 prints. This is where I will be posting news and other interesting developments that don’t belong anywhere. The gallery is set up and getting better. The Society6 page is slowly being updated with all the things I think are worth putting on there. 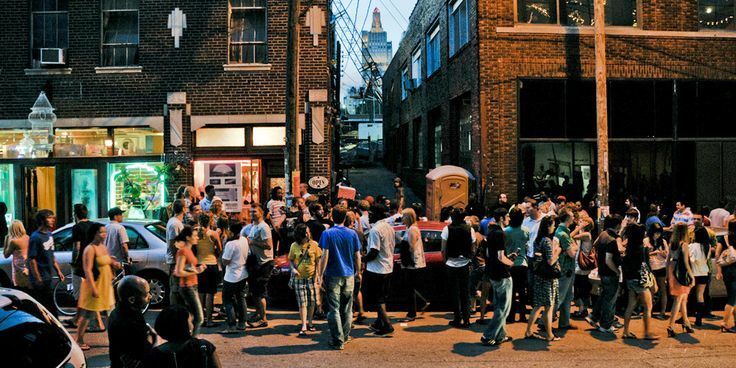 First Friday is coming up here in KC! I plan on getting there early to find a good spot to hock some prints. RSS feed and all the fixin's, but it just looks like over-kill. A github.io page exists for testing purposes.